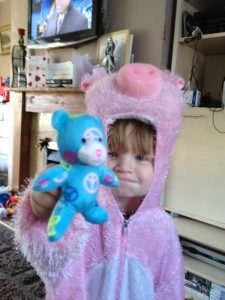 We are huge fans of Build a Bear as you can see from my post, so the boys were delighted when they got their very own Mini Build a Bear. The bears themselves have little patterns on them as you can see above. They are very soft and feel a bit velvety but aren’t fluffy. Perfect for carrying around and putting in school bags as my oldest did. First thing when they come out the box, you can fill in their birth certificate with the owners details and the date, name, etc. Next is the heart ceremony. 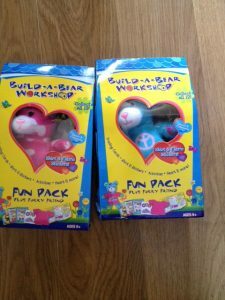 For this, each bear comes with a different coloured heart, the colour corresponds to a meaning, which is listed with the ceremony. The child or owner has to rub the heart on his head to give him brains, his tummy to make him laugh, etc. It is very sweet and then give him a kiss to fill him with love. 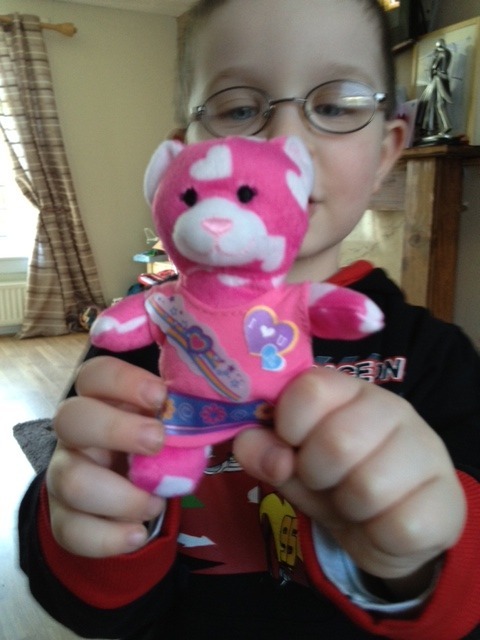 There is a little slot that over laps at the back to slip the little heart inside, which holds it in place. Next is dressing your bear. 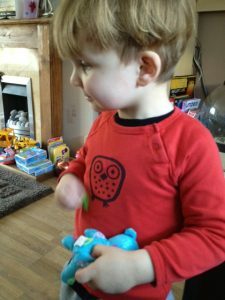 The bears come with their little tee’s which fit them snugly, We put ours on and then the fun begins with the fabric stickers. I wasn’t sure about sticking stickers on as I thought they would fall off but these have been great. Once stuck they pretty much stay on, unless prised off. I think the bears look fabby. The pink one is hedgehog and the blue one is piggy. I know my children don’t have very imaginative names, but we were at the children’s zoo that day. Both my boys have played with these bears for weeks and still do. I think they are great value for money at £5.99 and perfect for an alternative to chocolate Easter gift. Not only do they have a toy to build and play with they can use the code to play online. The fun is endless. I really do love these little guys. 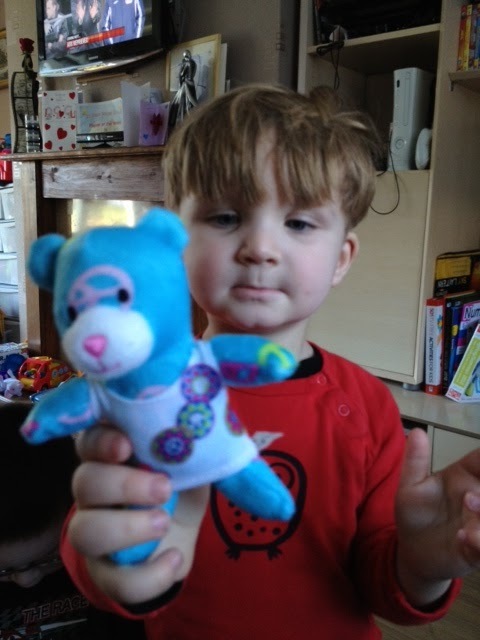 Disclaimer:- I was sent two bears through to review, the opinions above are my own.